- Specially developed power supply allows to turn on the device even from practically discharged battery. The time of continuousoperation time without IR-illuminator can be up to 120 hours. - The built - in protection against bright light automatically switches off the device when light exposure is increased. - The built-in IR-illuminator allows to use the device in full darkness and it has an option to adjust the size of spot light. - A special slot allows to fix an additional IR-illuminator (laser or diode) which enables to increase the distance of detection and recognition considerably. 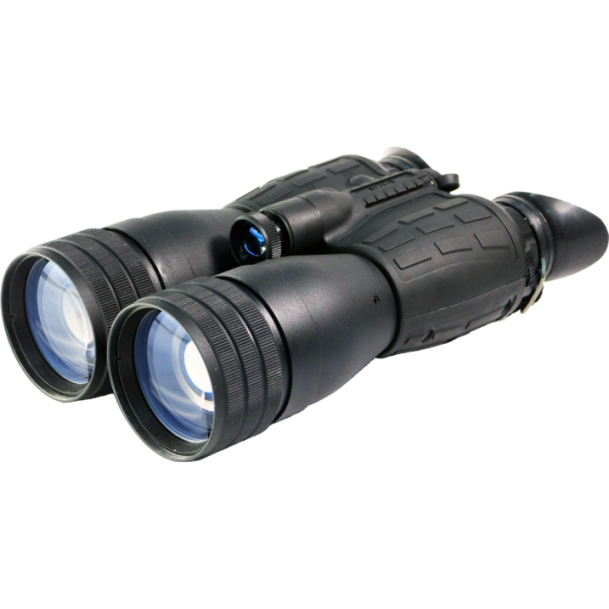 - Possibility to use additional lenses so that to get binoculars with different magnification.